True to its name, this attraction offers you an insight into the life and works of Antoni Gaudí in an interactive format. Starting from his birth in 1852 to his death at the age of 74, this interactive museum will tell you everything about Gaudi, his life, works and projects. Here, you can see a model of Park Güell and another model for the Hotel Attraction in New York, projects that never came before the world. Under-14s and over-65s: 7and 5€ respectively. For various offers on group visits, check the website. Last 4D audiovisual show half an hour before closing. By Metro: The nearest stations are Lesseps (recommended) and Vallcarca (L3). By Bus: 24, 31, 32, H6 (former 74), 92, neighbourhood bus 116. 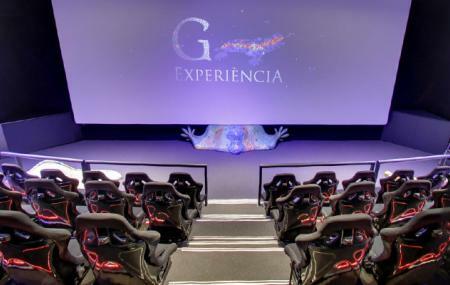 How popular is Gaudi Experience? People normally club together Park Güell and Gaudi House Museum while planning their visit to Gaudi Experience. This is not an attraction on its own. It only takes 10 min, so only consider may you have another POI in the area. As an experience of 4D its good, but really, not much in 10min. Service is good. This is an absolute must see. It is beautiful and absolutely fantastic. Take a guided tour so you can see all of it. The view of the city is magnificent. I did this just to pass some time before going into Park Guell. Honestly, it was alright but not worth the amount of money spent. The movie was short and I was literally the only person there. The museum is super small too. It’s just one room and there isn’t much to see. Don’t bother going if you’re expecting a lot.